I’m coming at you a little later today as I’ve been playing catch up from my long weekend in Palm Springs. I am definitely still in vacation mode from my anniversary weekend. I will have a full recap up of the weekend later this week. 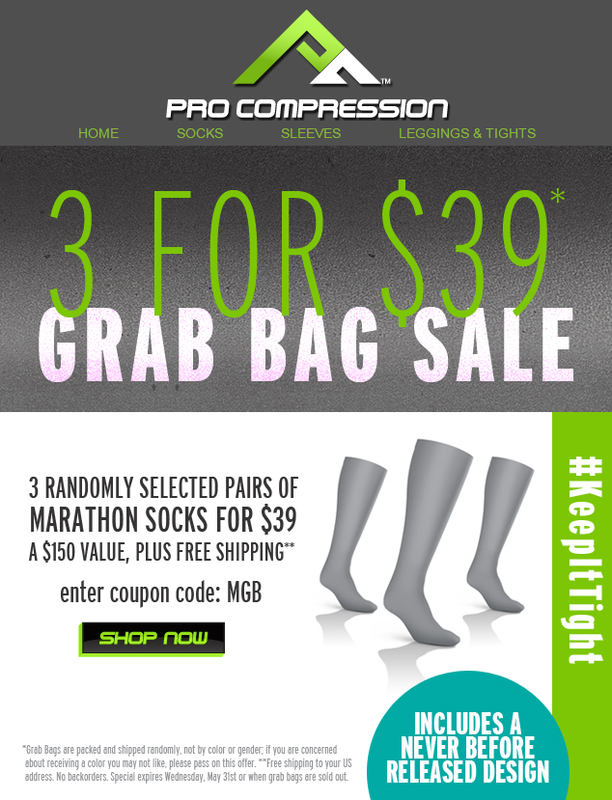 1) Pro Compression Grab Bag Sale– I was so excited to get this email yesterday as I have been needing to get compression socks! Perfect sale at the perfect timing.. make sure you jump on it as the sale is for a limited time. You can get the grab bag at http://procompression.com/. 2) This weekend was filled with enjoying the beautiful California weather. In one day I was able to hike through the snow and then enjoy 80 degree weather by the pool. 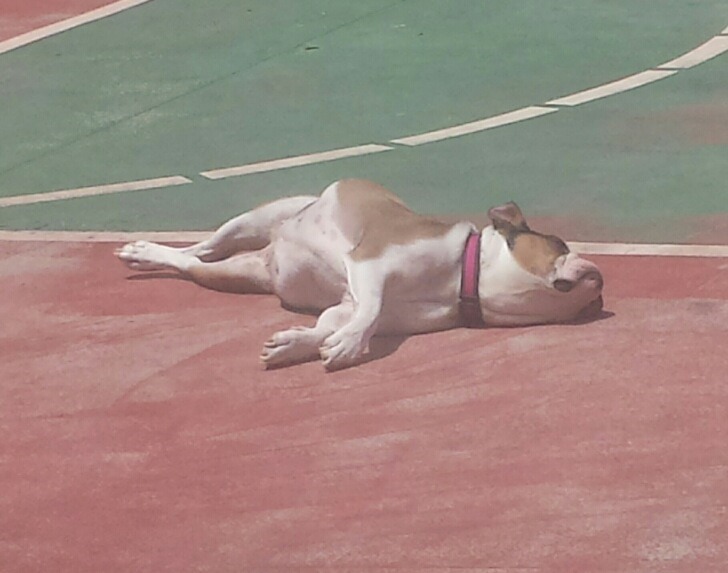 As I was laying out by the pool, my mom sent me a picture of Emma enjoying the summer sun as well. Like mother and daughter, she loves to sun bathe! Despite how she looks, no, she is not dead, she is just a very heavy sleeper! 4) Speaking of traveling the world- we booked our next trip which I am thrilled about. I will get to ring in my 27th birthday in Portland, OR. It will be a weekend filled with enjoying all the beautiful nature spots the city has to offer. Due to this trip in addition to Miami, FL, San Francisco, CA and Thailand this year, we will be taking the summer easy. Now that this is the next trip on our calendar, I am thrilled to start researching what to see and do in the city. 5) Following my post yesterday about the start of my triathlon training, I was excited to see a Sprint Tri List today on one of my favorite blogs! It made me even more excited to get back into the triathlon. Caitlin just finished a sprint tri over the weekend with some great tri information on her blog. If you are looking for a great blog to follow and some information on triathlon training, make sure to follow The Healthy Tipping Point. Have a great Tuesday- see you back tomorrow for a Wednesday Workout! Tell me: Have you visited Portland, OR? Are you a snow bunny or sun bather? This entry was posted in Fitness, Travel, Triathlon Training and tagged Fitness, Travel, Triathlon Training. Bookmark the permalink.